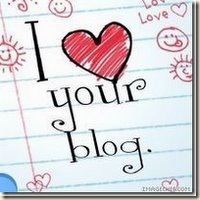 I received this “I love your blog” Award from Lillie ! Thank you so much for such a lovely award! I’m so honored to receive it! Thank you again for this wonderful award! Congratulations on your award, Sachiko, and thank you so much for mine. I can’t believe I got it from you :)) Thank you very much! congratulations on your award. It is indeed a lovely blog, I just discovered it.